How about trying out tissue paper pompoms of different color, sizes and shape as a inexpensive design feature for the space? It adds that pomp and glamour, pizazz if you will, to your child's beloved area. It would add vibrancy to the space that any child would love. 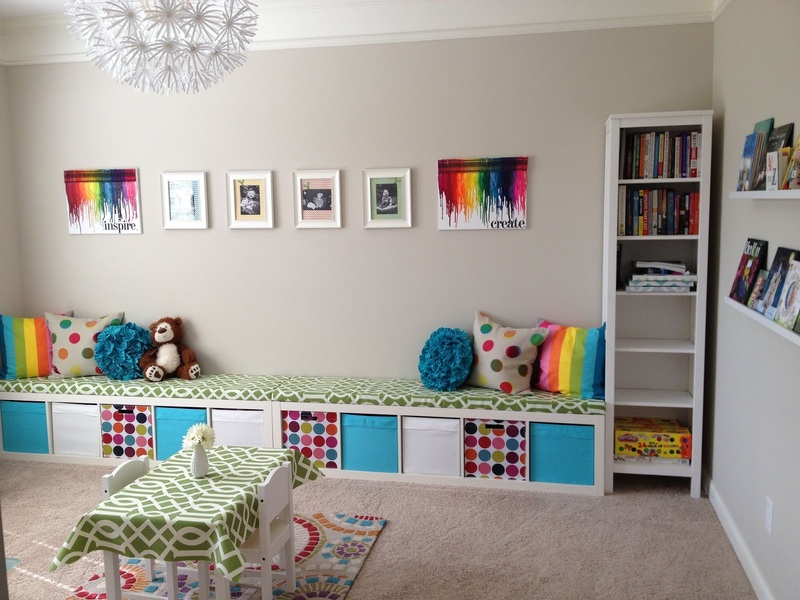 Try incorporating the pompoms in one hue or color to make your child's zone just literally pop. Create the room's small touches by hand. Whether it be printed graphics that you designed or crafting the display pieces with their frames or shelving along the walls, it will be satisfying to know that in your child's room is a product of one's creativity. It would make designing the room, with or without the aid of specialists, actually more worthwhile. Why not design your child's bed yourself? More specifically, design the headboard of your child's bed yourself. Make it from easily accessible materials like soon to be discarded wood from a neighbor, medium density fiberboard or MDF from the store, or may be useless fabrics just lying around, the possibilities are endless. Add to that materials like foams and with the use of glues and a staple gun, creating the headboard would make you feel like a craftsman in no time. 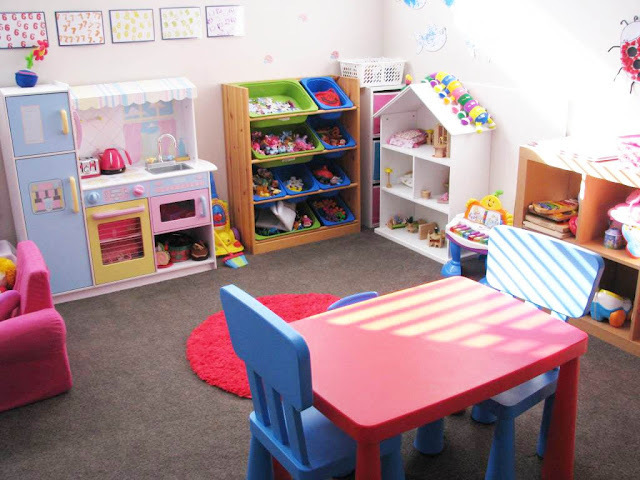 Awaken your creativity by using predominantly paint in your child's bedroom. Create simple two to five colored patterns to intricate but kiddie friendly murals to excite the child occupant's imagination. With colorful patterns such from lines to geometrical boxes, the room would have a clean, polished look but colorful murals, depending on the shades present, could scream fun or whisper serenity. Add graphic decals of the walls for a bit of drama. When selecting said decals, think big like trees or large flowers. How about oversized insects for that budding entomologist? Or a castle and towers for that little princess? Do not limit yourself or your child. There are many companies that offer customized decal designs and sizes that meets a parent's standard and budget. All one has to do it to find them. Do you have a child that is a budding artist? Why not provide for them an easy gallery? All that's needed is string and small wooden clothespins. Attach to the wall of your child's bedroom the string and all they have to do is to peg their artwork on the string like clothes being hung out to dry. It's that simple and easy. Storage cubes have always been ideal for children's rooms to use as, yes, storage, and display cases for the child's toys and other knick knacks. If the parent is not DIY shy, why not build the storage cube directly against a wall using leftover wood planks and paint from another project? Not to mention that you have control of how big or how small you want each cube to be. Ah the constant problem of parents of toddlers everywhere: Doodles on walls.Why not use draw-on wallpaper? As its name applies, it is designed to be drawn on so get this paste them on the room of your child's walls and let them unleash their imagination. Another budget saving use for the wallpaper is that the parent doesn't have to buy frames for their child's artwork. Just draw the frames on the wallpaper and viola! Okay. So you already know that your child loves to read books. Not only that but graphic novels, a.k.a. comic books, as well. The only trouble is that the walls in their room is too narrow for any bookcase to fit. What do you do? Why not mount small crates to these narrow walls to serve as storage for all these books and comic books they own? Just paint them the color scheme of the room and there you have it. Let's start with a plain room. Plain everything from the bed with its sheets to the unadorned walls. The color would come from the accessories and knick knacks that would occupy the space such as the window drapes in the child's favorite color, toys and pillow that have bold and colorful designs on them. For special holidays such as Thanksgiving or Christmas, you can add just one or two pieces of holiday decor to transform the space.